Looking for a new full-sized sedan for commuting to work or running errands on the weekend? Consider two of the most popular models available: the 2017 Chevy Impala and the 2017 Ford Fusion. Learn more about each model with the help of our detailed comparison. We’ll be reviewing the differences between the 2017 Chevy Impala Premier, starting at $38,500 MSRP, and the 2017 Ford Fusion Platinum, starting at $37,495 MSRP. 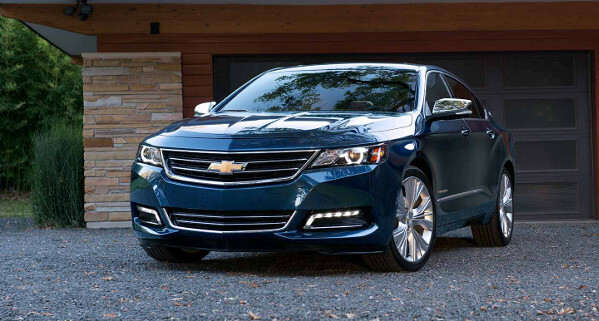 Browse the new vehicle inventory at our Chevy dealership in Merrillville, IN for available Impala trim packages. We also offer many new vehicle specials and incentives to help you save on a new 2017 Chevy Impala. Wondering which premium sedan will provide the performance you’re looking for? The table below can help you make your decision between the 2017 Chevy Impala and Ford Fusion an easier one. 305 HP @ 6,800 RPM Horsepower 245 lb.-ft. @ 5,500. 18.5 gal.G Fuel Capacity 16.5 gal. Whether you’re looking for a vehicle that acts as a tech hub or you just want to kick back and relax, the 2017 Chevy Impala and Ford Fusion both bring their best to the table when it comes to technology. 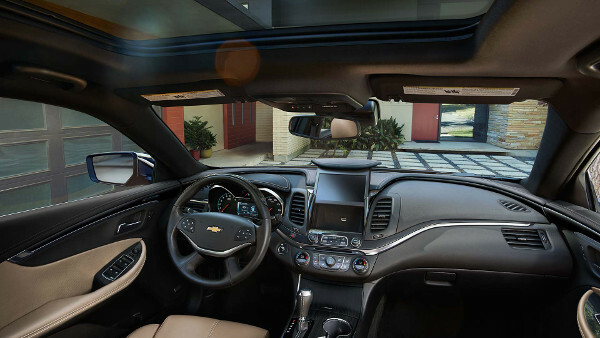 However, the Impala has a few more features we think Merrillville, IN area drivers will enjoy. Stay connected on the road with the Impala’s 4G LTE Wi-Fi® connectivity. This highly coveted feature isn’t available on the Fusion. Enjoy your favorite tunes with the Bose® Centerpoint® 11-speaker audio system, available only in the Chevy Impala. Your safety is a priority no matter where you drive, and impressively, the 2017 Chevy Impala and Ford Fusion are both highly rated from the IIHS. Still, the Chevy Impala offers a few more advanced features for greater peace of mind. Forward Collision Warning and Lane Departure Warning are standard with the Impala but aren’t offered on the Fusion. The OnStar® Basic Plan is standard with the Impala for five years. This option isn’t offered with the Fusion. The Impala comes with ten airbags while the Fusion comes with eight. Test-Drive the 2017 Chevrolet Impala in Merrillville, IN Today! Head over to the schedule service form to set up your test-drive appointment at our Merrillville, IN Chevy dealership. For more information, send us a message online or call 219-947-4151 to speak with a product specialist directly.